Requiring common 120 volt input power, the Easy-MIG 140 can be used almost anywhere. With simple two knob control, the machine is easy to set up for gasless flux-cored welding for deep penetration on thicker steel or gas-shielded MIG welding on thin gauge steel, stainless or aluminum. Compare the precise drive, rugged construction and full list of standard accessories. 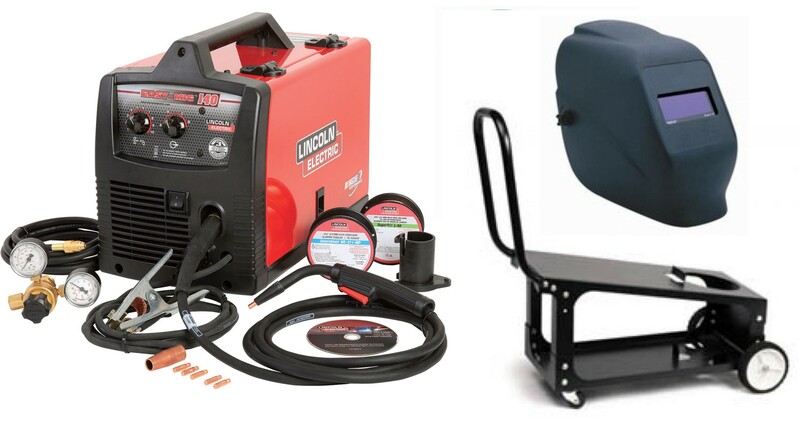 . . the Lincoln Electric Easy-MIG 140 is an excellent choice! Smooth arc starts with minimalspatter. MIG weld 24 gauge up to 3/16 in. (4.8 mm) sheet metal in a single pass. Weld up to 5/16 in. (7.9 mm) steel using self-shielded Lincoln Electric Innershield (FCAW-S) wires.